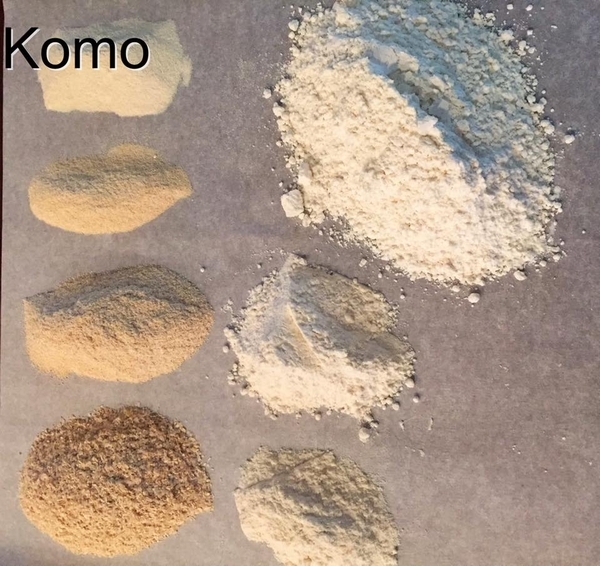 Let’s take a look at the Komo Fidibus 21 (Harvest 250) compared to the new Mockmill 200. 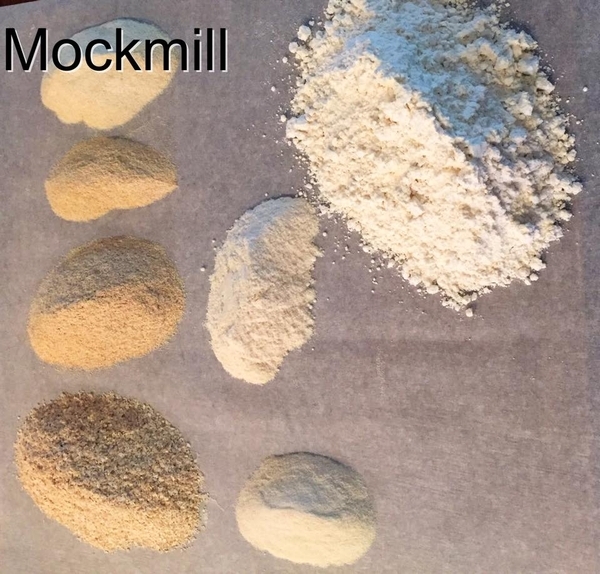 For clarity, I did purchase the Komo mill – but the Mockmill was graciously provided for comparison purposes. My goal is to be as impartial as possible in this review. 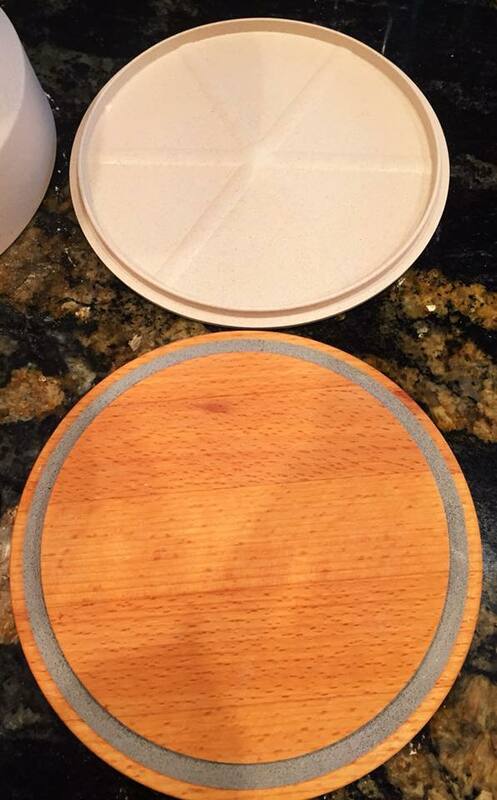 Both of these mill designs are largely the designs of Wolfgang Mock (the Mo in Komo and the Mock in Mockmill). They are notably similar in design – though there are some obvious differences. Both of these mills are the closest in price – with the Komo Fidibus 21 priced at $399 USD and the Mockmill 200 at $349 USD. 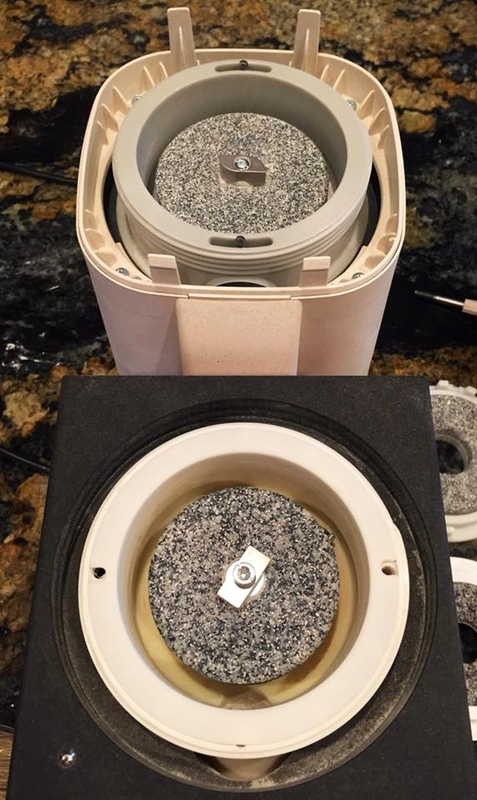 The Komo mill includes a 250 watt motor and 2.95” corundum-ceramic stones. It is housed in a nice beechwood cabinet. It is rated to mill ~150g of flour per minute. The mill includes a 12 year warranty. 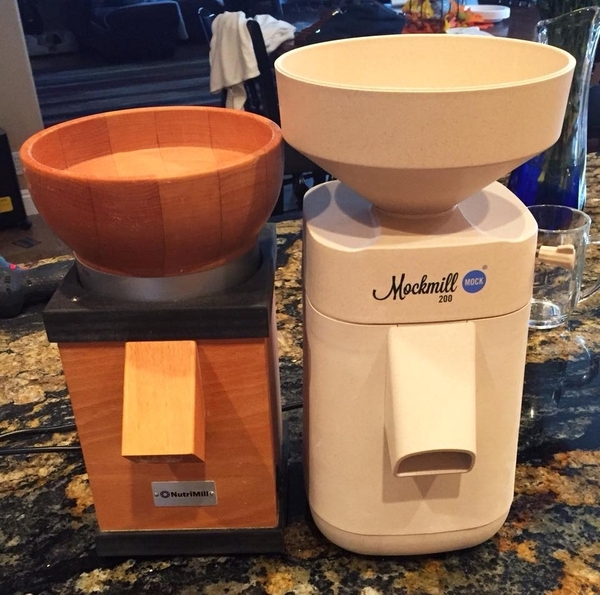 The Mockmill 200 includes a 600 watt motor and 3.54” corundum-ceramic stones. It is housed in a liquid wood cabinet that seems a lot like a plastic housing. It is rated to mill -200g of flour per minute. It includes a 6 year warranty. To get the closest equivalent Komo mill based on motor and stone sizes, you would need to purchase the Komo XL at $699 USD. Wolfgang has clearly embarked on a quest to make home milling affordable. The new Mockmill 100 is currently priced at $259 USD. His goal may truly be to have a mill in every home. 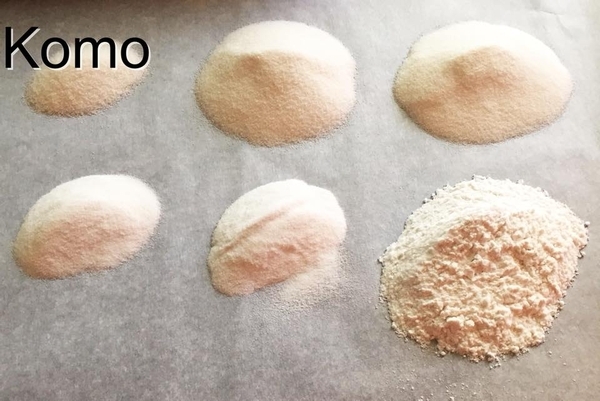 Why you should use fresh milled flours is another topic for another day. My thoughts on the mills outside of performance. There is no question that the cabinet of the Komo mill is much more solid feeling and I find it more aesthetically pleasing than that of the Mockmill. The Mockmill 200 shares a common cabinet and stone size with the Mockmill 100. The primary differences are the motors and possibly how the stones are dressed. The Mockmill 200 seems a little more solid than the 100 I have. This might be simply because of the extra couple pounds of weight or might be design changes between the preproduction and production models. I feel the need to note that the 200 mill I received had a cracked cabinet. This was clearly the result of shipping damage as the box was physically damaged. It does highlight, however, the slightly less rigid nature of the cabinet. Physical disassembly for cleaning is much simpler with the Komo mill. 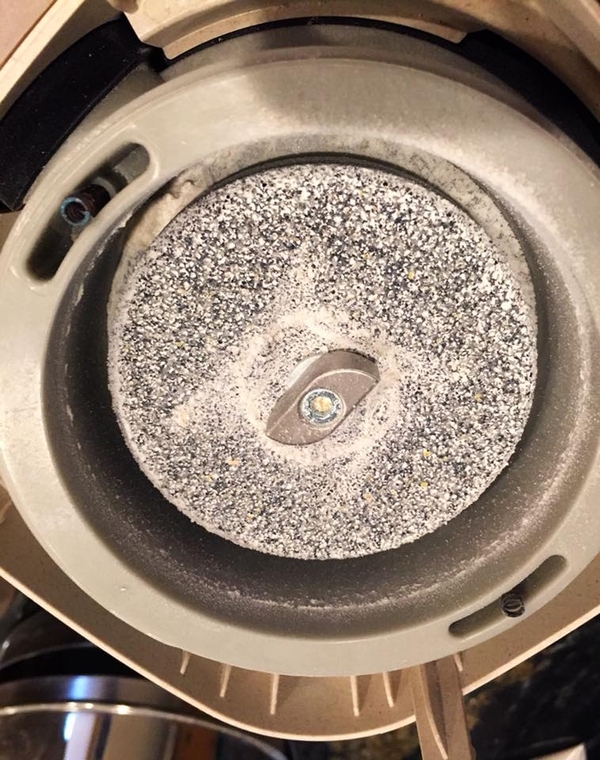 The hopper simply unscrews and the top stone lifts out to provide access to the milling chamber. To disassemble the Mockmill, you must first fully unscrew the adjustment lever. Pressing the tabs on the back of the hopper while lifting allows it to be removed. 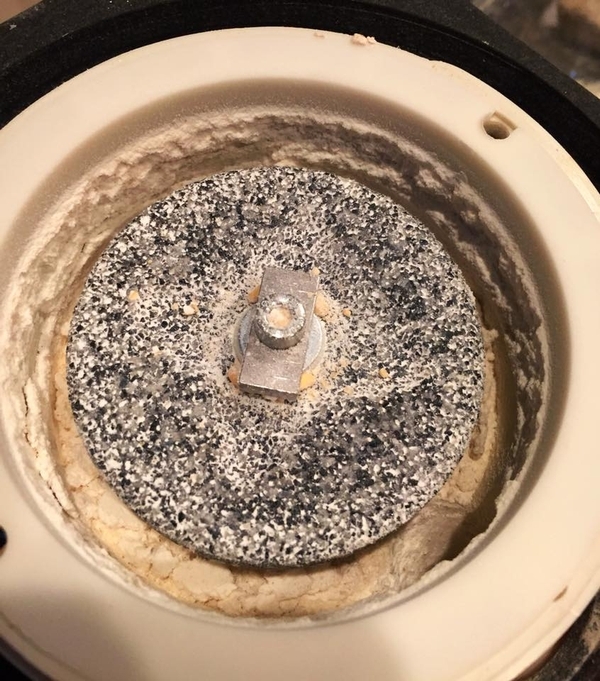 The top of the milling chamber is then unscrewed allowing the top stone to be removed. It is a lengthier disassembly and reassembly process. The mill also needs to be “readjusted” after reassembling. Ease of adjustment from coarse to fine is also a little simpler with the Komo. You simply turn the hopper to make the adjustment. A wide range of adjustment is fully available. The Mockmill uses an adjustment lever which has a limited adjustment range. The range can be extended by loosening the lever (unscrewing slightly), moving the lever back to the other end of the range and retightening. It is relatively easy to do once you’ve done it a couple times. The mills are both adjusted for the finest flours at the point where the stones are just very lightly touching. oth mills have a couple common things worth noting. 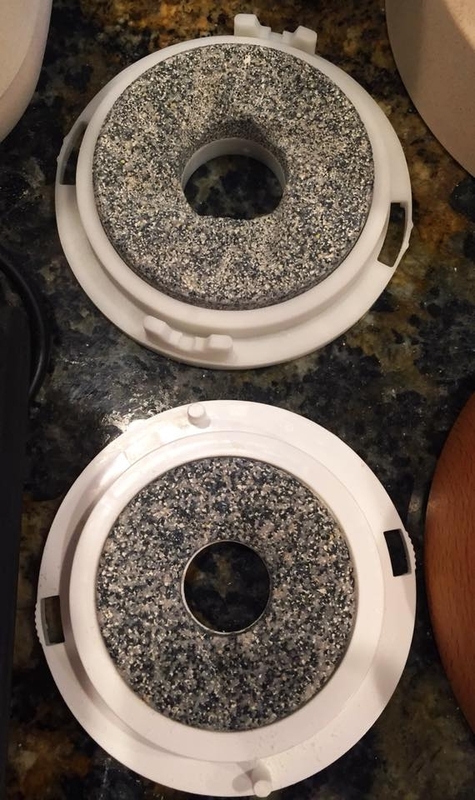 They both have small “loose” springs that apply upward pressure on the top stone. Be careful not to have them fall out and get lost. Both mills accumulate some amount of flour in the milling chamber. This can be several grams. The Komo seems to be slightly worse than the Mockmill. It is worth periodically cleaning the mills. I decided to choose a couple of grains that I thought might highlight the mills performance. I chose a heritage soft wheat and a Jasmine rice. The Komo is generally quieter while milling than the Mockmill. 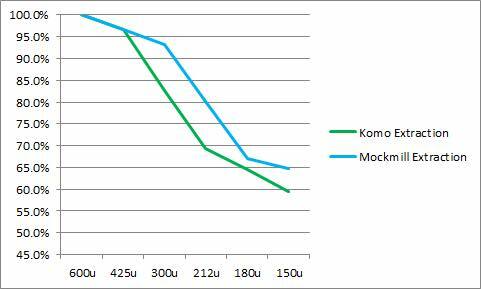 For the soft wheat, the Komo was 8db quieter at 88db vs 96db for the Mockmill. Both are loud. The flip side is how long you get to listen to the mill. 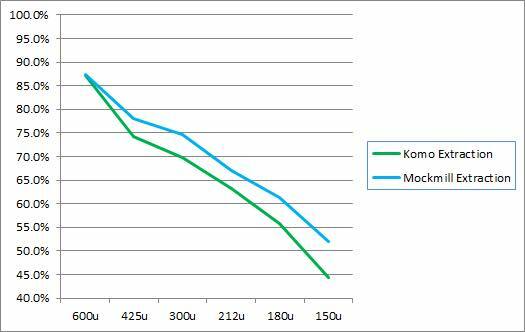 The Mockmill delivered significantly faster milling times taking 1:30 to mill 300g of the soft wheat vs 4:15 for the Komo. 150g of rice took 0:39 vs 1:07. Flour temperatures with the faster milling times of the Mockmill were 7f cooler for the wheat and 2f for the rice. 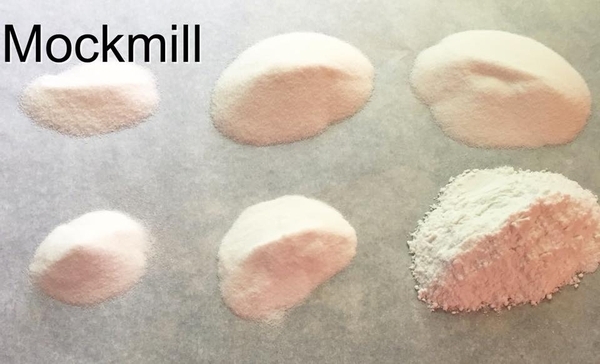 Let’s talk about the flour – the Mockmill 200 simply produces finer flours. Finer flours produce superior breads. Charts are included showing extraction rates for different sieve sizes. Notable is also milling corn. While the shallow grooves in the Komo stones make single pass milling impossible, the Mockmill makes fine corn flour is a single pass. (The Komo Classic is able to do the same). If I was to choose which categories are most critical – they would be price, milling speed, flour temperature and flour quality. In each of these critical areas, the Mockmill clearly outperforms the Komo. To Wolfgang I would say “well done”. 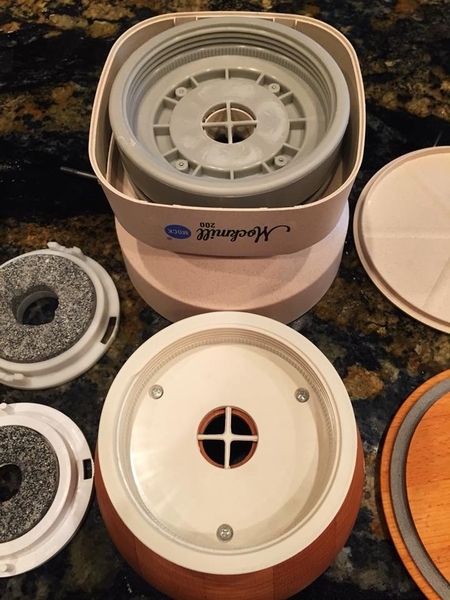 A fast affordable fully adjustable home stone mill that produces fine flours has finally arrived. It excels in every area that is truly important to the home miller. There just might be a new Sheriff in town.